The world's best way to create, share and wear nail art. NailSnaps is the world’s best way to transform social images into salon-quality custom nail wraps that can be applied at-home in minutes. No mess. No toxicity. No dry time. Next level personal expression, literally at your fingertips. NailSnaps manufactures top quality nail wraps you can't find elsewhere. Available on AppStore and online, NailSnaps ships to 27+ countries and is loved by cutting edge influencers and artists like Michelle Phan, James Wild, and Olga Kay. NailSnaps non-toxic, ultra-thin vinyl nail wraps are a higher quality formulation than the competition. NailSnaps require no heat for application, no chemicals for removal, and they look glossy without needing a topcoat. Each custom nail art design can be applied and removed like a sticker but looks and lasts like a salon-quality manicure - without damaging your nails. Our community leverages a massive network effect to drive even more business. 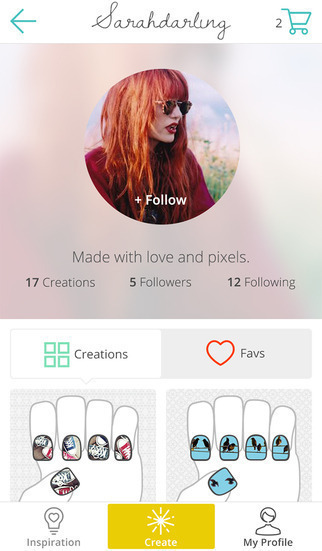 Nail art creators can follow each other for inspiration in the app and each time a user shares a design to additional social media channels, their post acts as a hook inviting more users into the NailSnaps community. Founders Angel Anderson and Sarah Heering combined their expertise in UX and media to address the growing demand for personalized nail art. While expanding the mobile/social community of NailSnaps users, the company sells direct to consumer via the free NailSnaps mobile app. 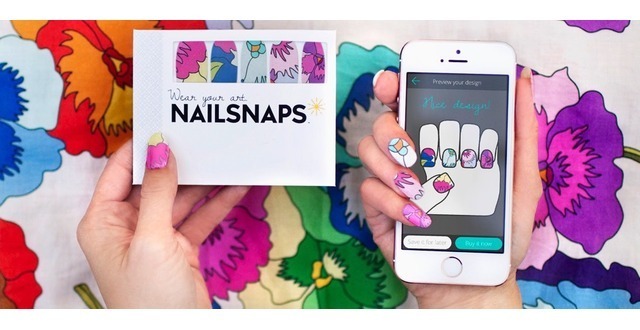 Within days of launching, NailSnaps was added to the App Store's Best New Apps list and appeared on the Today Show as one of the best gadgets of 2015. 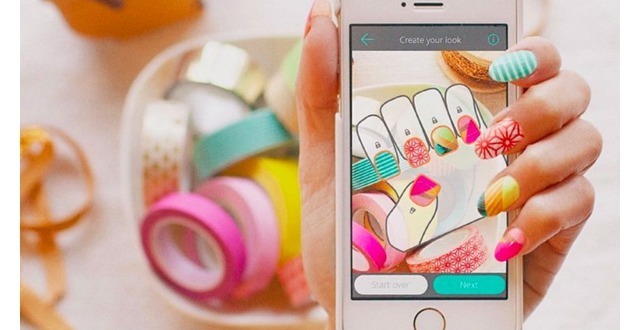 Sarah Heering is co-founder and COO of NailSnaps. A seasoned entrepreneur, Sarah previously founded and ran SAJE Media, a media agency serving clients like Chivas, Toshiba and NBC Universal in building and executing high-performance media strategies. CEO and Co-Founder of NailSnaps. 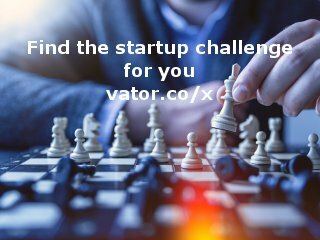 15+ years of leading User Experience (UX) design and strategy on digital platforms for brands such as Domino’s, American Express, Mattel, and Old Navy. Previously VP of UX at creative agency, Crispin Porter + Bogusky. How do they differ from other products on the market? Mobile friendly - NailSnaps offers one of the only mobile nail art design tools. We make creating nail art as easy and fun as snapping a photo. Our patented hand-pose stencil can be rotated and resized to zoom in on the desired portions of your photo. 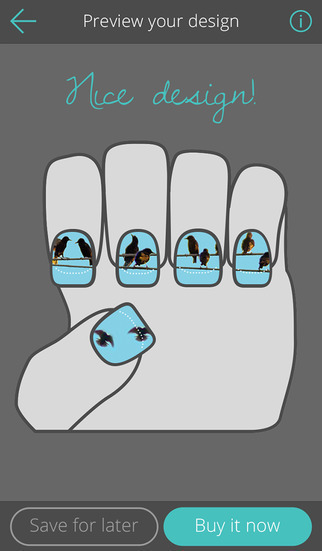 Get a continuous image across your nails or lock various parts of the image to each nail to tell a story in five fingers. Move the hand stencil around - spin it, make it big, make it small. You’ll be surprised how many design possibilities exist within one image! Want a REPEATED IMAGE on different nails? Tap the nail you want to Copy. Copy it to specific nails or all nails. Want to MIX IT UP? Tap the nail you want to Lock. Lock that nail and then move the hand stencil to design another nail. Want a LANDSCAPE? 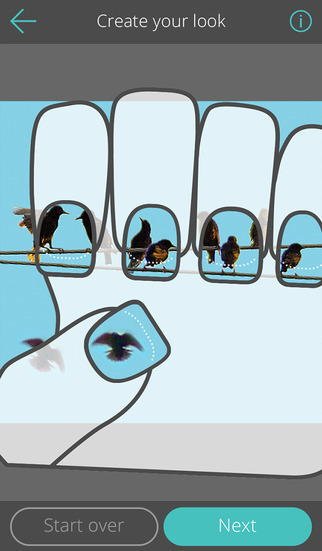 Rotate and re-size the stencil over your photo to capture a landscape or scene across your nails. Excellent value - NailSnaps look and last like a custom, salon-quality manicure without ruining your nails or costing a fortune as, gel manicures are known to. Each set of made-to-order, high-quality NailSnaps costs $19 and includes 20 wraps (2 widths per fingernail) a 1 mini nail file, and simple instructions for easy application. Each individual wrap has a roundish side and a squarish side so that they can be enjoyed and worn by people with varying cuticle shapes, or cut in half for a mani-pedi. NailSnaps are made of high-quality, ultra-thin vinyl which makes them waterproof and incredibly durable and looking fab for about a week. 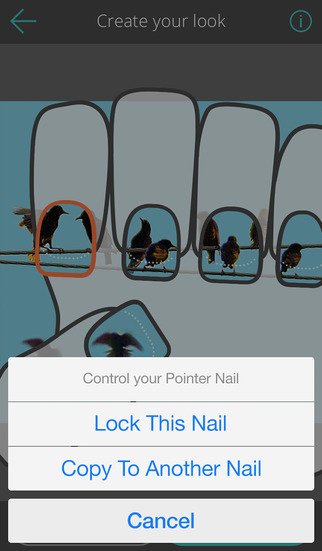 Easy application - NailSnaps are the easiest way on the market to apply custom nail art. No smelly chemicals, no heat applicator, no UV lighting. In fact, the only tool needed is a nail file (included in each set) so NailSnaps can be applied anywhere - on the metro, in a cab, or at your desk - without making a mess or bothering people around you. We actually love applying NailSnaps while flying! We often use the 15 minutes of non-tech time (between closing the cabin doors and reaching a safe altitude for electronics) to apply NailSnaps so we can show off the product right away when we land. Simply peel and stick the high-quality, ultra-thin vinyl nail wraps into place and file off the excess length to rock your totally custom look. 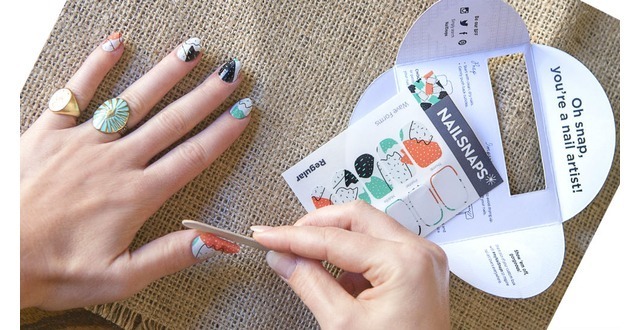 Easy removal - When you’re ready to change your nail art NailSnaps can be removed in a snap. No need to soak your nails in toxic acetone or spend time rubbing remover all over your nails. Simply peel the wrap off your nail. Inspiring - NailSnaps offers the only mobile nail art community to let you follow your friends for inspiration and add their best designs to your favorites collection. All your designs are saved to your profile so you can share them with friend across Instagram, Pinterest, and Facebook. 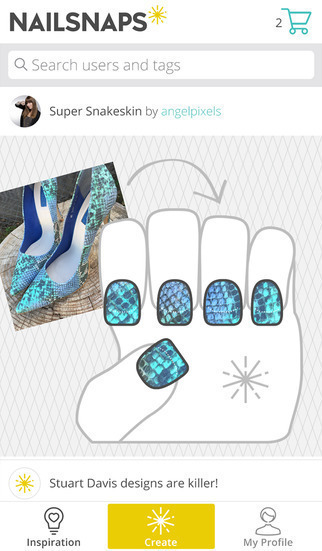 We’re working to make NailSnaps the most fun way to create, share, and wear nail art!